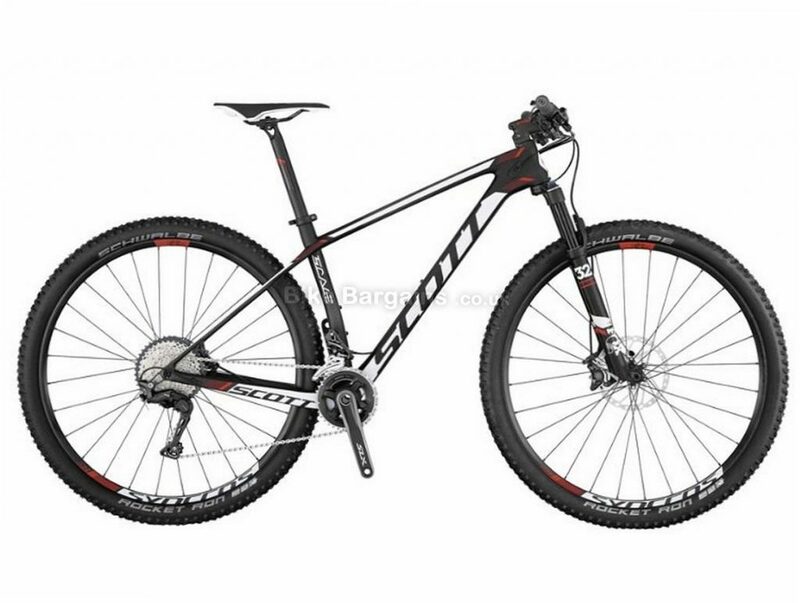 Armed To Demolish The Trail, The Scott Scale 720 has a Geometry totally inspired by racing at the highest level! Co-developed with Olympic Champion, 5x World Champion and 5x World Cup Champion Nino Schurter, the 2017 Scott Scale 720 has been completely overhauled for the ultimate in hardtail performance. With trickle down tech from the outrageously light RC model, the Scale 720 saves weight over the previous model and offers improved comfort both standing and seated, without sacrificing stiffness. Add in Boost thru axles, new to the 2017 Scale, for added stiffness and handling performance and you get a hardtail with impeccable handling. 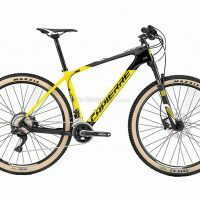 A rapid Shimano SLX 22 speed drivetrain, Shimano SLX Disc brakes and Syncros components thgroughought combine to give you a hard tail that is just itching to finish first. With a Scale 3 Carbon frame you get a super lightweight, stiff bike with spec tough enough to take whatever you throw at it. 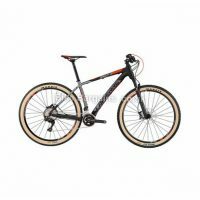 Scale 3 Carbon Frame HMF Shimano XT 2x11 Drive Train FOX 32 SC Float Performance 100mm Shimano SLX Disc Brakes Boost Front and Rear Syncros Components. Frame - Scale 3 Carbon Fork - FOX 32 SC Float Performance Drivetrain - Shimano SLX/XT 2x11 Speed Brakes - Shimano SLX Disc Brakes. Frame - Scale 3 Carbon / IMP technology / HMF BB92 / SW DM dropouts for Boost 148x12mm SDS2 advanced Shock & Standing Damping System ICCR Cable routing Fork - FOX 32 SC Float Performance Air Grip 3 / 3-Modes / 15x110mm QR axle / tapered steerer Lockout / Reb. Adj. / 100mm travel Shock - N/A Number of Gears - 22 Shifters - Shimano SLX SL-M7000-11-I / Rapidfire Plus 2 way release / Ispec 2 clamp Chainset - Shimano SLX FC-M7000-11-B2 / Hollowtech 2 700 Series: 36x26 T / 900 Series: 34x24 T Chainrings - 36x26 T Cassette - Shimano SLX CS-M7000 / 11-42 T Chain - KMC X11L Front Derailleur - Shimano SLX FD-M7020-11D / side swing Rear Derailleur - Shimano XT RD-M8000 SGS DM / Shadow Plus / 22 Speed Bottom Bracket - Shimano BB-MT500-PA / shell 41x92mm Pedals - Not Included Rims - Syncros XR2.5 / 28H / Tubeless ready Front Hub - Syncros XR2.5 CL / 15x110mm made by DT Swiss Rear Hub - Syncros XR2.5 CL / Boost 148x12mm RWS axle / made by DT Swiss Front Tyre - Schwalbe Rocket Ron EVO / 2.25 127EPI Kevlar Bead / Tubeless Easy PaceStar compound Rear Tyre - Schwalbe Rocket Ron EVO / 2.25 127EPI Kevlar Bead / Tubeless Easy PaceStar compound Front Brake - Shimano SLX M7000 Disc 180 mm SM-RT64 CL Rotor Rear Brake - Shimano SLX M7000 Disc 160 mm SM-RT64 CL Rotor Brake Levers - Not Specified Handlebars - Syncros FL1.5 T-Bar / Alloy 7050 D.B. T shape Flat / 9 degrees / 720mm Grips - Syncros Pro lock-on Headset - Syncros Pro Drop in / Tapered 1.5" - 1 1/8" bearing diameter size 42mm and 52mm Stem - Syncros FL1.5 / 2014 Alloy 6 degrees / integrated Spacer & Top Cup / 31.8mm / 1 1/8" Saddle - Syncros XR2.0 / CROM rails Seatpost - Syncros FL1.5 / 10mm offset 31.6 x 400mm Post Clamp - Included Weight - 10.50 kg. Starting life in 1958 as a ski company, Scott has diversified on numerous occasions to cater for Motocross in 1970 and cycling disciplines. Their first mountain bike was launched in 1986, and shortly afterwards the innovative aero handlebar was created, helping Greg Lemond to win his 1989 Tour de France. By 1991 Scott produced a range of Suspension Mountain Bikes using UniShock, and the following year it's first full suspension MTBs, Cycling shoes and helmets were all released. The next milestone year was 1998, when the G-Zero full suspension MTB was launched, with it's incredibly low weight a major selling point. Their focus was not just off road, and in 2001 the Team Issue road frame was announced, weighing less than 1 kg - making it the world's lightest. Two years later this was replaced by the carbon CR1 frame, weighing a paltry 895g! That same year, their MTB range was supplemented by the Genius, which enabled the rider to adjust travel from one of three settings; lock-out, full travel and just traction. Long time Scott sponsored rider Thomas Frischknecht won the marathon World Championships on this bike. In 2005, Scott moved into the Triathlon genre by releasing the Plasma, a 980g aerodynamic carbon frame, with a 300g seatpost complementing the ride. never to remain complacent, the Addict Road frame was born in 2007, weighing 790g and featuring a feathery 165g seatpost, 330g fork, resulting in an overall build of just 5.9kg (yep, that's 13lbs!) 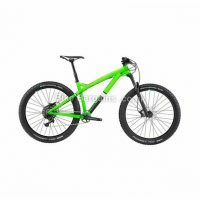 Over the next decade Scott continued to produce lightweight performance innovations, such as the second Genius range, Twin Loc suspension controls and the 899g Scale hardtail range, which Nino Schurter won the MTB World Cup on. 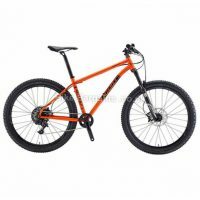 For more on Scott's extensive history, please visit their wikipedia page, or to view their current range, please see https://www.scott-sports.com/gb/en/sports/bike.